The purpose of these blogs is not only to bring your attention to the vehicles we have available right here at Prestige Imports for you, but also to showcase and highlight the wide variety of exotic vehicles out there. For this reason, it’s rare for us to highlight a vehicle of the same nameplate as one we’ve already looked at. However, some vehicles out there are so incredible that when we get another one through, we can’t help but to highlight it too. That’s the case today as we highlight another Bugatti Veyron for sale here in North Miami Beach FL, this time a 2010. Despite talking about a different Veyron already, we’ll just go ahead and highlight all of the specs & features that make this Bugatti so incredible. The only real difference between this model and the model we looked at previously, however, is the exterior color being black and blue rather than black and white. Powered by an incredible 8.0L V16 engine, it’s capable of getting up to 60 miles per hour in just 2.4 seconds. 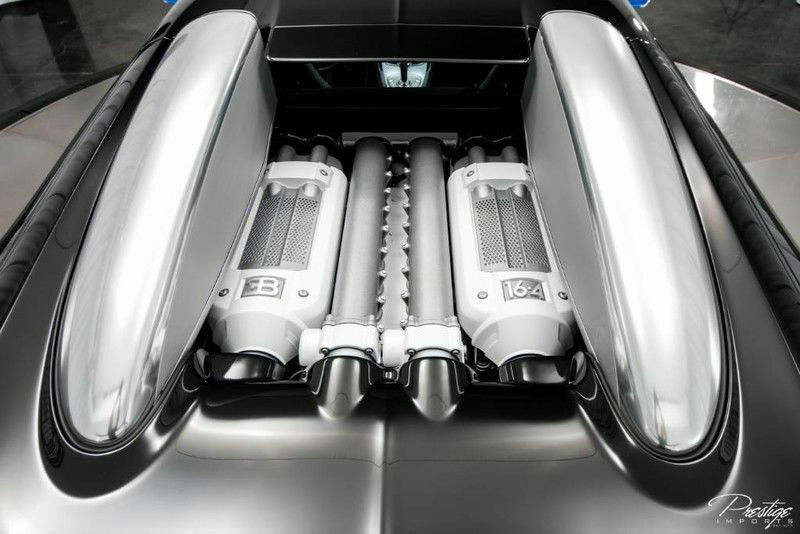 That breakneck speed is all thanks to the absolutely ridiculous 1,001 horsepower the Veyron’s engine generates alongside 922 pound-feet of torque. Surprisingly, the Bugatti isn’t too terribly heavy either, at 4,387 pounds, which certainly helps. 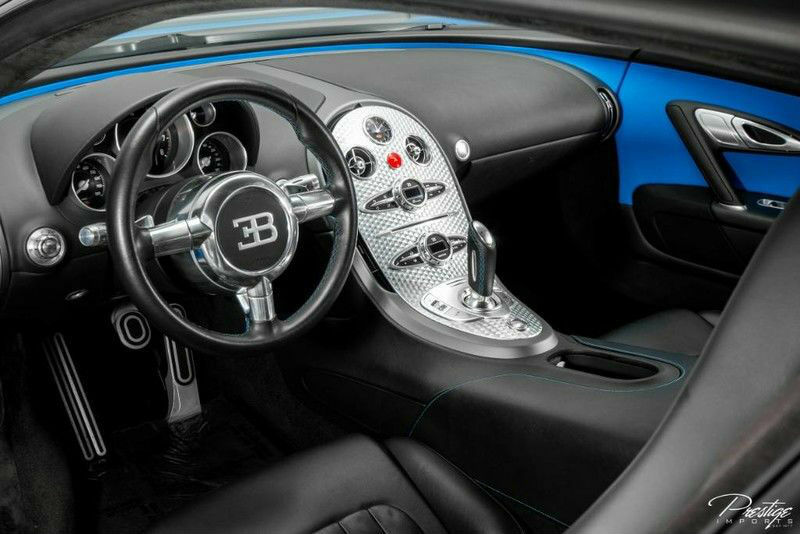 While speed is certainly its claim to fame, the Bugatti is still a premium luxury vehicle, so it’s also packed with some incredible features. These features enhance things like comfort and convenience in addition to further enhancing the performance beyond just its incredible engine; like sport tires and brakes. If you’d like to find out more about these features, don’t hesitate to give us a call, but the best method would be to simply schedule a test drive right here on our website! What will the next released Bugatti model be? Understanding Bugatti and "La Vie en Bleu"
This entry was posted on Friday, August 17th, 2018 at 8:44 pm	and is filed under Bugatti. You can follow any responses to this entry through the RSS 2.0 feed. You can skip to the end and leave a response. Pinging is currently not allowed.